On January 9th, live event "Acid Black Cherry & BREAKERZ 5th Anniversary Live 'Acid BREAKERZ Cherry 69-sixnine-'" was held at Nippon Budokan. This was the live event to commemorate the 5th anniversary since Acid Black Cherry (ABC) and BREAKERZ' debut. The event proceeded in a unique way as there were two band sets on the stage, and ABC and BREAKERZ took turns performing their songs. With shouts of joy which were almost like roars, ABC and BREAKERZ appeared at opposite ends of the stage. 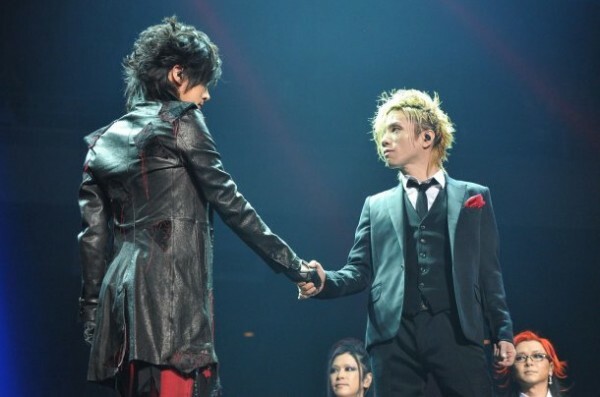 They slowly walked up to each other, and the event started with a firm handshake between yasu and DAIGO. First, ABC performed the hard tune "Murder�License", and BREAKERZ started with "BIG BANG!" With both of their performances following after one another in rapid succession, it didn't take too long for the audience to build up in excitement. During the MC for ABC, yasu revealed that the red scarf in his chest pocket was actually women's underwear, and made the audience laugh as he said that it didn't help absorbing his sweat at all. However, the friendly atmosphere suddenly changed when he started the rock ballad "Yes" as the audience was intoxicated by the performance. Soon after was BREAKERZ' time. DAIGO expressed his deep gratitude for the event, and performed the heartwarming ballad "Hikari", then the band showed the performance to "RUSTY HEARTS", their upcoming single that is scheduled for release on January 16th. After the introduction for all the members, there was also a segment of the band ensemble in which all 10 people performed together. ABC and BREAKERZ then once again showed their performances taking turns, and finally the main part of the live event ended with BREAKERZ' "DESTROY CRASHER." During the encore, yasu and DAIGO sang "Nemuri Hime" together, followed by "Overwrite." 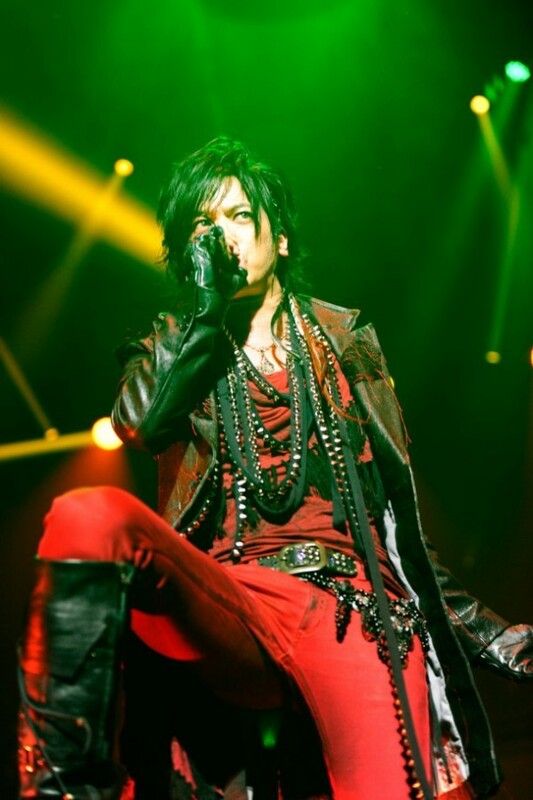 After the performance, DAIGO took out his phone to take a photo of the venue, and revealed that hyde of L'Arc~en~Ciel was visiting the event, saying, "Look, yasu-san! There is an�unexpected appearance of god in the photo!" This special surprise elated and excited the audience. yasu then said to hyde, who was sitting on the seat, "hyde-san, you wanna come up? We won't ask you to give us a comment of congratulation," and hyde appeared on the stage saying, "It felt like I was watching TV, and someone on the TV started talking to me." 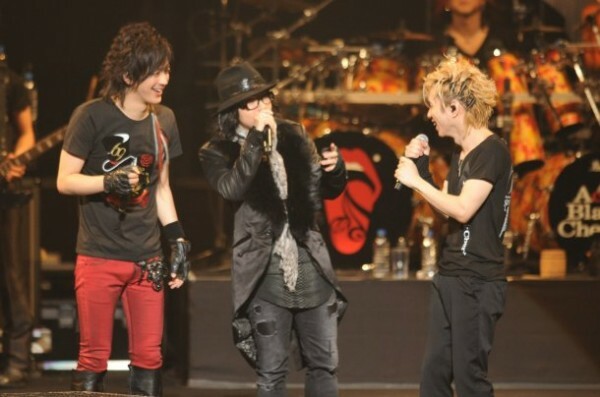 yasu also requested hyde to perform on stage, which hyde first rejected, commenting, "You know I'm still in the middle of my winter break. My work didn't start yet," but when "Black Cherry" started playing, he performed the song, which of course, livened up the audience. Requests for a double encore did not stop even after the last encore song "SUMMER PARTY". In order to answer the fans' passionate love, the 10 people appeared again on the stage, and performed "DRAGON CARNIVAL" as a present. Lastly, they gave a deep bow to the audience while holding each other's hands, and ended the over-3-hour event. Check out the setlist for the event below. 01. Murder Licence ?Acid Black Cherry? 05. Tsumi to Batsu ~Kamisama no Alibi (Acid Black Cherry? 12. Cherry Cherry?Acid Black Cherry? 13. Shoujo no Inori III?Acid Black Cherry? 17. Nemuri Hime?Acid Black Cherry? 19. Black Cherry?Acid Black Cherry? 21. DRAGON CARNIVAL?Acid Black Cherry? Thanks to Hyde for the tip! 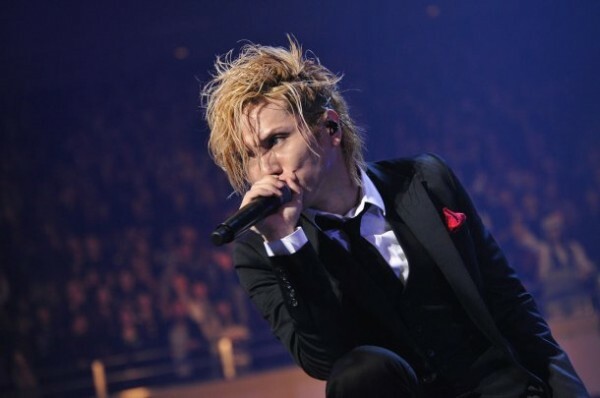 Acid Black Cherry reveals short PV for "1/3 no Junjou na Kanjou"